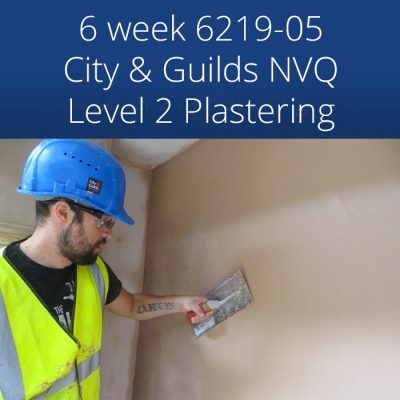 I took up the 5 week city and guilds plastering course with the intentions of going into the plastering trade, silver trowel delivered a very intensive and knowledge packed course giving me more skills then i expected. I would highly recommend this course if you want to run your own business,using all the skills i now have, i now own my own business which growing every day. Thank you silver trowel. Within three weeks I had plastered my bathroom! I attended a two weekend DIYer course at the beginning of last year. I found it really fulfilling and I came away with the confidence to skim all the walls my bathroom – including the ceiling! 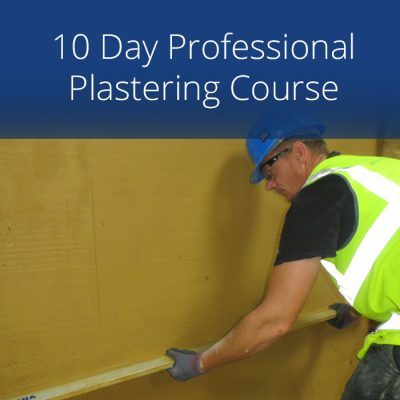 You can see some photographs I took during the course here: http://www.gare.co.uk/plastering.htm I would certainly recommend going on this course! Can’t get a better detailed explanation on how to plaster. Teachers are great, really helpful and understanding. Would recommend to anyone who wants to learn plastering. Great teaching and very friendly. They teach you about the products and tools with a very in depth talk while doing a demo so you learn how to mix and apply the products, they really do cover everything to do with plastering. They also sell all the tools you need for plastering I ended up buying the whole kit as it would safe me time and money great prices and high quality tools. Price for the course is very reasonable for what you learn in 4 weeks and the guys are very friendly made me feel at home from the first day and any questions I had they were able to answer them. Highly recommend silver trowel ltd other courses also available, I’ll be going back for sure. Top training for home maintenance! I took a 2 day Bricklaying course with Silver Trowel. In just 2 days I’d learnt trowel skills and laid several courses of brick. I would definitely recommend Silver Trowel. Whether you’ve been in the trade for years or never had a go Silver Trowel pitch the teaching to each persons level. Thank you Silver Trowel for helping me on my construction journey. Really good practical learning experience! This was my first experience of bricklaying and a complete contrast to the desk job that I had been doing for the previous thirty years. I had no idea what to expect when I arrived at Silver Trowel but was immediately put at ease and introduced to the other students. My instructor was brilliant and gave me so much encouragement, he was also very patient which helped me and to settle very quickly. By the second day I had built my first single brick right angles wall with column and was very pleased with it. During my third and fourth days I built a nine inch double skin wall with over hang feature and it looked very professional, I was very pleased with the skills I had mastered and the work that I had achieved in just four days at Silver Trowel. I can highly recommend Silver Trowel and would not hesitate to use them again if I decide to follow up with the plastering course. Great place to learn a trade! Very Good facilities, good teachers and all the tools materials are provided. I recently completed my 5 weeks City & Guild certificate with Silver Trowel and I have to say, from start to finish – the whole experience was way way better than I originally expected. Colin and Chris (the dynamic duo) are the business. In true professional style they covered every module thoroughly, with a lot of patience and full support! From the unlimited free Tea (a lifesaver) to helping with mixing, cleaning, lifting, shovelling etc etc… Nothing was too much trouble and they went out of their way to ensure that I understood what I was doing and why I was doing it – helping to make this a fun 5 weeks as well as learning so much, including the RIGHT way to do it. For a down to earth, stress free learning experience – I would have no hesitation to recommend these guys. Hell I had so much fun, I was tempted to re do the whole 5 weeks! Thanks again to Chris and Colin for everything and for their ongoing support in advising me on certain situations that i come across and for answering any queries that i may have when working on my own! Fantastic, fun and full of support teaching an old dog a new trick! 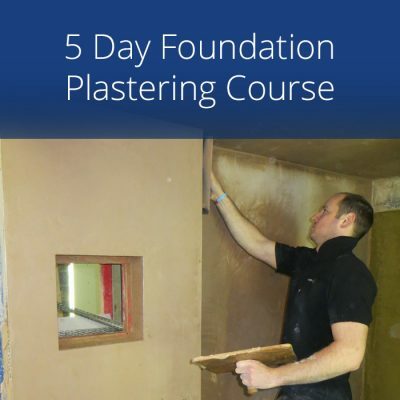 We offer a full range of plastering, bricklaying and polished plaster courses.